ESI’s 15th Annual safety training was a major success! ESI held its annual supervisors meeting the week of February 19th, 2018 at corporate headquarters In Baton Rouge, LA. 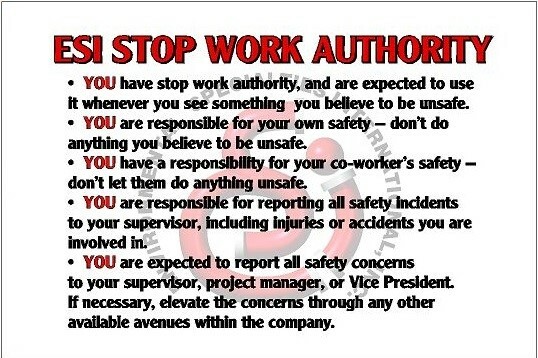 The theme of the meeting was “Know Safety…. 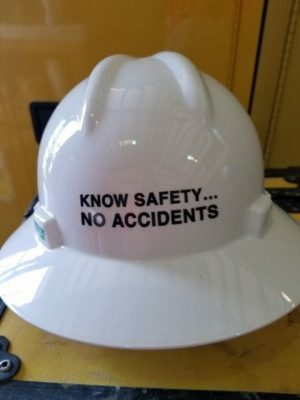 No Accidents”. Safety education was again ESI’s main focus this year, as emphasized continually during our classroom sessions, hands-on training and social hours. David Nolting, ESI’s Corporate Health & Safety Manager, updated the supervisors OSHA 1926 CFR 29, 10-Hour construction certification in a classroom environment. David is an Authorized OSHA Outreach Trainer, allowing him to provide in-house training to ESI employees for OSHA 10 and 30-hour construction safety classes. ESI also hired an outside training service to certify our supervisors on operating skid steers and forklifts. This was accomplished in both a classroom environment and actual operation of each piece of equipment in ESI’s yard. During this time David was certified to be an in-house instructor and can now certify all of our operators in the future. The supervisors also renewed their First Aid and CPR in a class environment including the newest techniques using CPR. 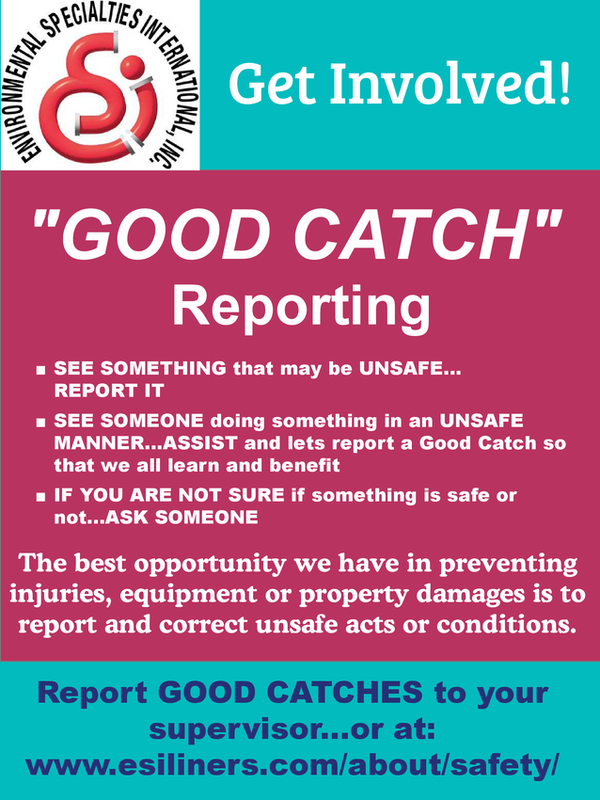 ESI will immediately report all incidents, including near misses. ESI believes investigating near misses provides an opportunity for improvement before an accident occurs. This is again emphasized through internal communications with postings in our offices and on job sites, and through regular internal communications and discussions. 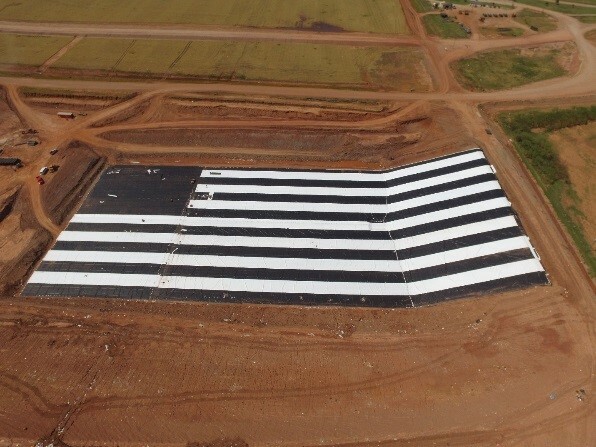 While the photo captures the pride in our American flag, it also captures the teamwork and relationship between our team and our customer. The supervisor’s training week ended with two intensive days of training by DemTech, a leading supplier of wedge welders and extruders. Our supervisors received hands-on training in repair and maintenance best practices. “Demo” Dave and Gus from team DemTech led the training. It was a long week for our team. 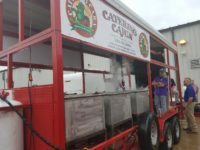 The good work was rewarded by our equipment rental partner, Blue Line Rentals, who on the last day of training sponsored a good ‘ole Louisiana crawfish boil. The caterer, Catering Cajun, knew what they were doing and organized a great feast for the team. The mudbugs were fantastic, as confirmed by the team consuming 500 pounds of them suckers during the lunch hour.